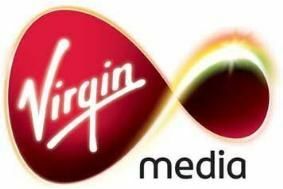 Virgin Media confirms December launch for 100Mb broadband | What Hi-Fi? The service will be on offer across the company's cable network, which currently reaches nearly 13 million households. Parts of London, the South East and Yorkshire, will be the first to get the service in December, with the roll-out expected to be complete by mid 2012. Not only will the 100Mb service allow staggeringly quick downloads of music and movies – a TV show in around 30 seconds, suggests Virgin – it will also come in to its own when used by multiple people in one house. Neil Berkett, chief executive office at Virgin Media, said: "The launch of our 100Mb service is a significant milestone in the UK's broadband evolution and a vivid illustration of the power of our next generation network." As well as providing 100Mb download speeds, the service will also deliver 10Mb upload speeds. There's also a new custom built energy efficient combined modem and wireless ‘N' router, with the potential to deliver speeds of up to 400Mb as new services roll-out in the future. Virgin Media suggests a typical family will be able to get the new ultrafast service for as little as £35 a month when bought in a bundle, or just £45 per month when bought as a sole product.